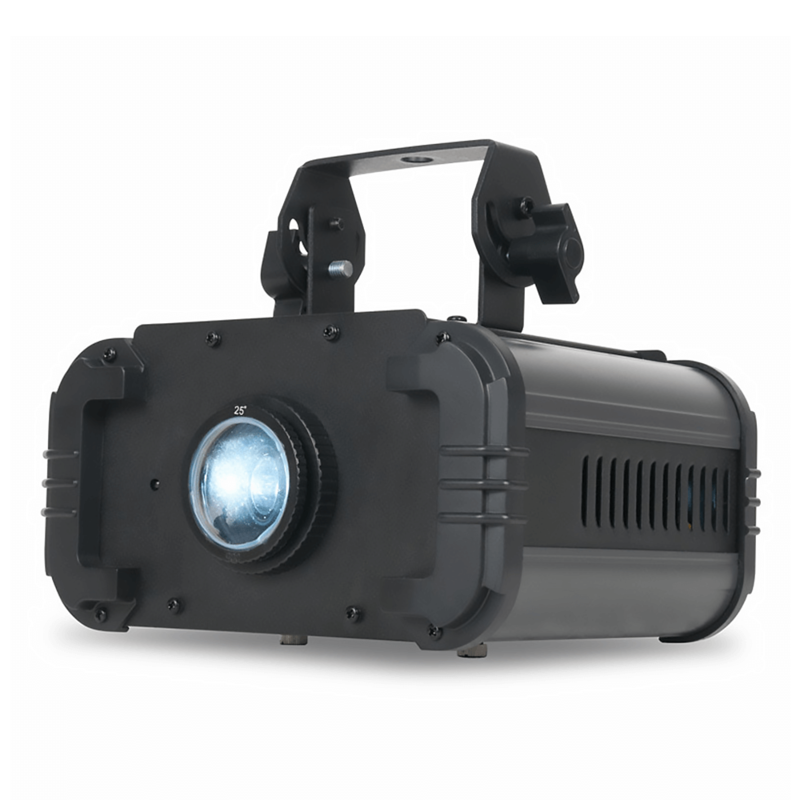 The Ikon IR is a high output single Gobo Projector powered by a bright 80W (7500K) white LED. This fixture used high-quality optics for crisp, clear projection. 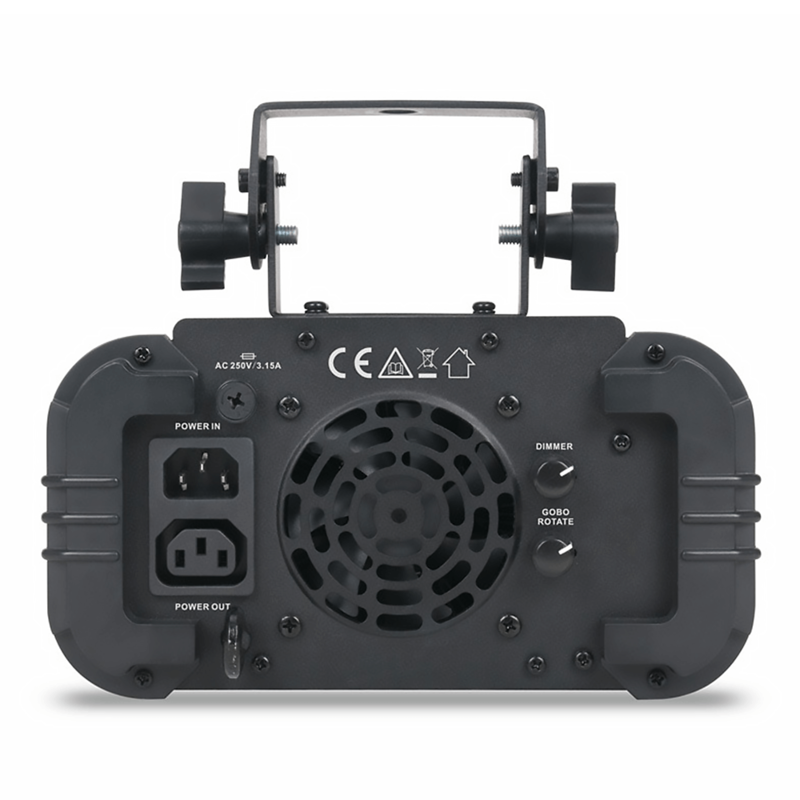 The user can adjust the LED brightness and Gobo rotation on the rear of the fixture or by the included wireless UC IR remote control.